Michael Jackson's Divine "This Is It" Intervention Revealed? 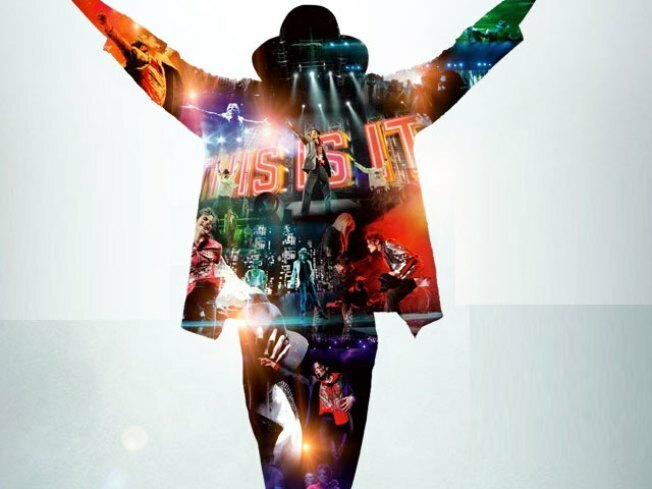 "This Is It," the movie culled from footage of Michael Jackson's farewell tour, hits theaters in just two weeks. And in the run up to the release, those closest to the pop star are speaking out about the tour that never was. Although the tour Michael was set to embark on at London's O2 Arena in July was billed as "This Is It," CEO of concert promoters AEG Live Randy Phillips told Access Hollywood's Tony Potts the trek had a different name to those involved on the project. "All of us felt like this [was] a labor of love," the CEO said. "The code name for the production was 'L.O.V.E.' — lov — because when Michael would criticize someone or give direction, he never was harsh, but he was firm and then at the end he would say, 'Remember, with love.'" In a story first recounted in the new issue of Entertainment Weekly, which features and inside look at "This Is It," and told to Tony on Thursday, Randy revealed that Michael went way over budget when it came to tour special effects. "The original contract called for $7.5 million in a production budget to prepare the show… And I knew when we did the deal, knowing Michael, it would go to $10 [million], maybe $12 million. By the time it hit $24 million, I was actually ready to jump off the balcony of this office building because I thought my career was over. But that's Michael," Randy laughed. "It just got bigger and bigger." Among the things that were to be shown on the tour were several 3D mini-movies, which cost about $9 million to make. But AEG was forced to draw a line in the sand when Michael told Randy and concert and eventual "This Is It" film director Kenny Ortega that he needed a stage version of the largest waterfall in the world. "We went to see him and Kenny said, 'Michael, you have to stop. We need to close the show. We have to finish it. We have to open,'" Randy recalled. "And Michael said to Kenny, 'But Kenny, God channels all these great ideas at night to me and I can't sleep…. And he said, 'I have to be there to receive them.' And Kenny says to Michael, 'Well maybe God could take a vacation 'til after we open in London.' And Michael, he didn't miss a beat, he had great timing, he said, 'Well Kenny, if I'm not there to receive them, he may give them to Prince.'" Randy said he first thought Michael was joking. "But then I looked at his face and he was dead serious," Randy told Tony. "We were able to talk him out of the waterfall." While working on the tour, Randy admitted there were "a few tense moments," including one when he was sent to Michael's home to try and talk him out of hiring Dr. Conrad Murray. "I went to him and it was like they sent me into the lion's den because I had no idea what had gone down in terms of how insistent he was on this," Randy said. "When you ask, did we ever have cross words, that was the first time he got in my face. He didn't even want to debate whether it was worth spending $150,000 a month." Randy said Michael insisted he have a full-time doctor – something AEG couldn't argue with, when the pop star pointed out why. "He looked at me and said, 'Look! You don't understand. My body fuels this entire business we have. I need the same kind of medical attention that Barack Obama and his family have. It's really that important. I need that. You have to understand and I really don't want to debate this. You just have to hire him,'" Randy recalled. But knowing what he knows now about Jackson's eventual death from acute Profopol intoxication hasn't forced Randy to second guess any of the decisions he made at the time. "Even if I had refused to let him hire Dr. Murray, he would have hired him himself, just not charged it against the show," he said. Although La Toya Jackson recently told Access that she doesn't think Michael would have wanted "This Is It" released, Randy thinks the performer would have loved the upcoming film, which is due out October 28. "I think Michael would love this movie and if for some reason this movie is nominated for an Academy Award as a documentary or whatever happens, it's a big deal this movie and Michael's smiling from heaven. He would have loved this," Randy said. In addition, AEG has already made efforts to get the Jackson family to see the film, including Michael's three children – Prince Michael I, Paris and Blanket. "We want them to, but we may need to have grief counselors," Randy said. "It's both a celebration and it's a great footnote to his legacy, but it's also heart wrenching."